Have you been thinking about purchasing your first home but don’t know where to start? This event is FOR YOU!!! 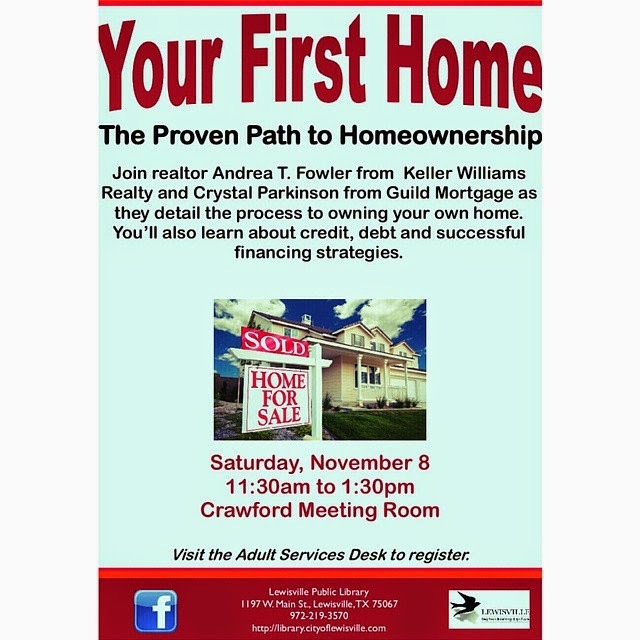 We will discuss strategies to help you become a homeowner. SIGN UP TODAY!!! For an all exclusive access to properties in DFW, go to newavenuerealty.com or email atfowler@newavenuerealty.com.